One of the cards I made at the local library card making event. 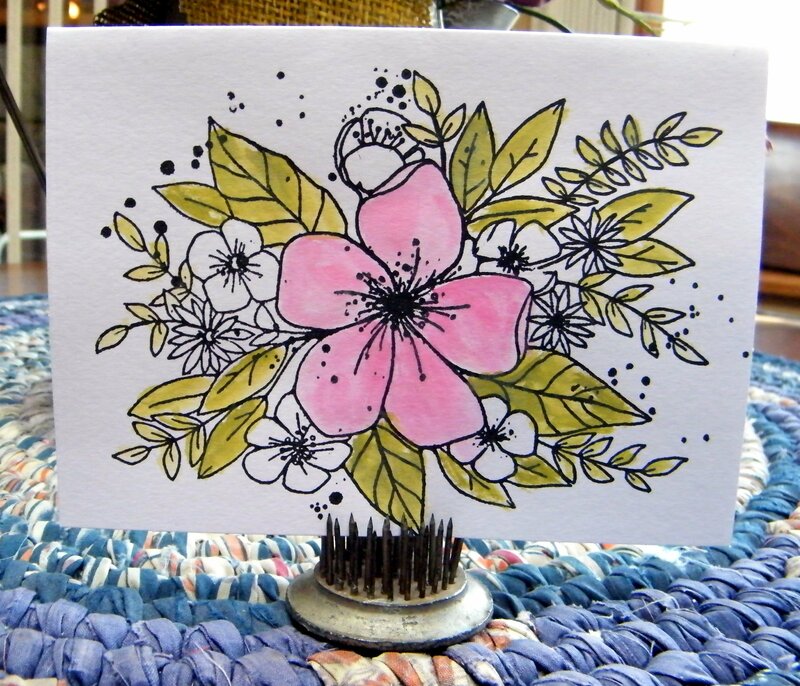 We smeared Oxide ink on a slick mat and used a paint brush and water to color the flower. Some people colored in everything, but I liked the contrast of color and black and white. I want this stamp and forgot to ask what brand it was. I'll call the library today. You did so well with that technique! Very pretty. I too like the contract between the colors black and white of your stamp. Hope you found the name of the stamp it is a beauty! Lovely card, the pink just pops on this! Wow, Cathe, this is so gorgeous! I was going to ask if it was watercolored!